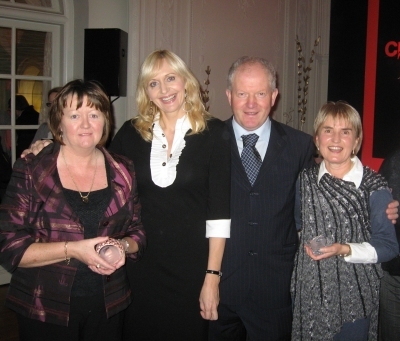 The Road Safety Authority (RSA) presented its first ever Leading Lights Road Safety Awards at a ceremony in Farmleigh House in Phoenix Park on 19th December 2008. The awards recognise and honour the outstanding efforts of people from community groups, companies, industry groups, and schools nationwide who work at improving safety on Irish roads. Ten Leading Lights Road Safety Awards were presented including a Supreme award and a Posthumous award. Charlie Collins of Highland radio, a consistent supporter of road safety improvement initiatives in Donegal was awarded the Supreme award for his contribution to road safety. Over the past 12 years, Charlie has provided a forum for all groups and individuals involved in promoting road safety in Donegal in an effort to make the county's roads safer. The late Mr. Vivian Foley, an award winning author who lectured at Cork Institute of Technology was awarded a posthumous award for his work in promoting road safety right up to the time of his death in 2003. The author of the book "Is your car safe?" Vivian was well known for his writing on the issue of road safety and had received a special commendation at the 2000 Prince Michael International Road Safety Awards. Mrs. Susan Gray and Mrs. Ann Fogarty from PARC Road Safety group for Promoting Awareness, Responsibility and Care on our roads. Ann Moran, whose daughter was killed in a collision, for bravely sharing her personal experiences at local and national Road Safety events. Aileen Ferguson, Secretary of Kells Road Races in County Meath for her work in primary and secondary schools, advising youngsters of the importance of staying safe on the roads. 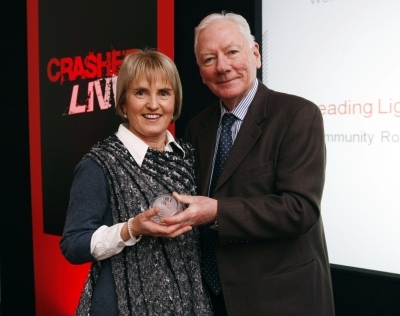 Mrs. Susan Gray PARC receiving Leading Lights Road Safety Award from Gay Byrne RSA chairman. 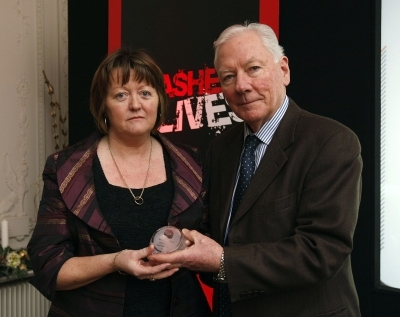 Mrs. Ann Fogarty PARC receiving Leading Lights Road Safety Award from Gay Byrne RSA chairman.